And I’m Tom. Hi ever one. Welcome to the programme today! Really nice to have you with us. So we would predict based on our study that hugging in every society is right-dominated. Obviously, the prevalence of hugging, so how often it occurs in a society, that is extremely different across cultures. So there have been studies that Asian countries, for example, show much less hugging behaviour, or social touch in general, but nonetheless, if someone engages in a hug, it’s probably more right-dominated in general. ‘To be associated with’ ਮਤਲਬ ਕਿਸੇ ਨਾਲ ਸੰਬੰਧਿਤ ਹੋਣਾ। Ah ha! Would you agree with that, Tom? 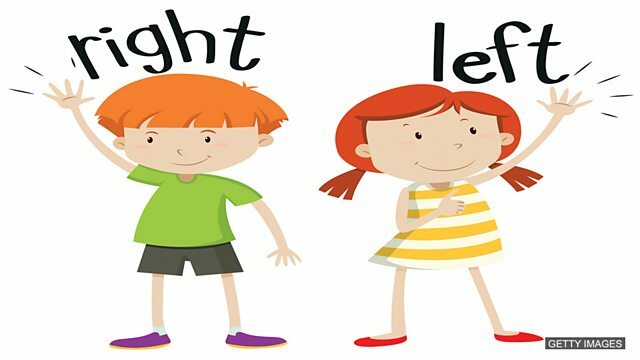 That left-handed people are more intelligent? ਅਲੱਗ-ਅਲੱਗ ਸੂਤਰਾਂ ਤੋਂ ਜੁਆਬ ਹੈ ਲਗਭਗ 10% ਲੋਕ। So, you were right, Sam. It was a small number. ‘A bonus’ ਇੱਕ ਲਾਭ ਹੈ। Has Sam convinced you, Tom? Are you special? Sorry we didn’t get you a cake! ਤੁਹਾਡੇ ਬਾਰੇ ਕਿਸ ਤਰ੍ਹਾਂ ਹੈ? ਤੁਸੀਂ ਕੰਮ ਖੱਬੇ ਹੱਥ ਨਾਲ ਕਰਦੇ ਹੋ ਜਾਂ ਸੱਜੇ ਨਾਲ? ਤੁਸੀਂ ਕੀ ਸੋਚਦੇ ਹੋ ਖਬਚੂ ਹੋਣਾ ‘an affliction’ ਹੈ ਜਾਂ ‘a bonus’? ਕੀ ਤੁਸੀਂ ਇਸ ਗੱਲ ਨਾਲ ਸਹਿਮਤ ਹੋ ਕਿ ਖੱਬੇ ਹੱਥ ਨਾਲ ਕੰਮ ਕਰਨ ਵਾਲੇ ਲੋਕਾਂ ਪ੍ਰਤੀ ‘a bias against’ ਭਾਵਨਾ ਹੈ?